The previous team used a product called PolyShield, which is a tough, flexible dip that protects, insulates and seals almost any surface. Color codes all items for safety, and reduces corrosion, noise and shock. Cushions grip surface and lasts for years. Weatherproof ability seals out salt, acids, and other liquids. Seals to prevent fraying of rope and fabric. Also works like a paint for corroision protection, but won’t crack or chip like dried films. Helps shatter proof glass parts. It also works well on wheels for a rescue robot. However, the manufacturer has gone out of business. Oh noes. Ever since the shutdown of PolyShield, we have been looking for different products to apply to ours wheels. We have been looking at other alternatives, we are thinking of applying something very similar to what was done last year. 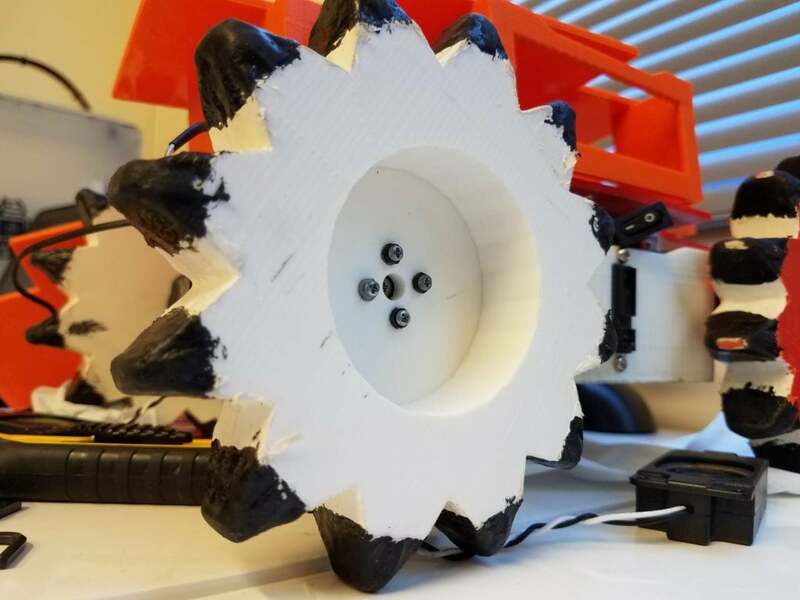 We will be experimenting on different ways we can solve this problem these experiments include using rubber (or something similar to rubber) tires or trying an alternative to PolyShield. It was unfortunate that PolyShield stopped offering their product, but a better solution needed to be found anyway. At competition, we were reapplying PlastiDip at the end of every day (and sometimes in between runs if we had enough time) because it would quickly lose its grip over time in the sand and gravel. Something more robust like the rubber you suggested should work nicely. 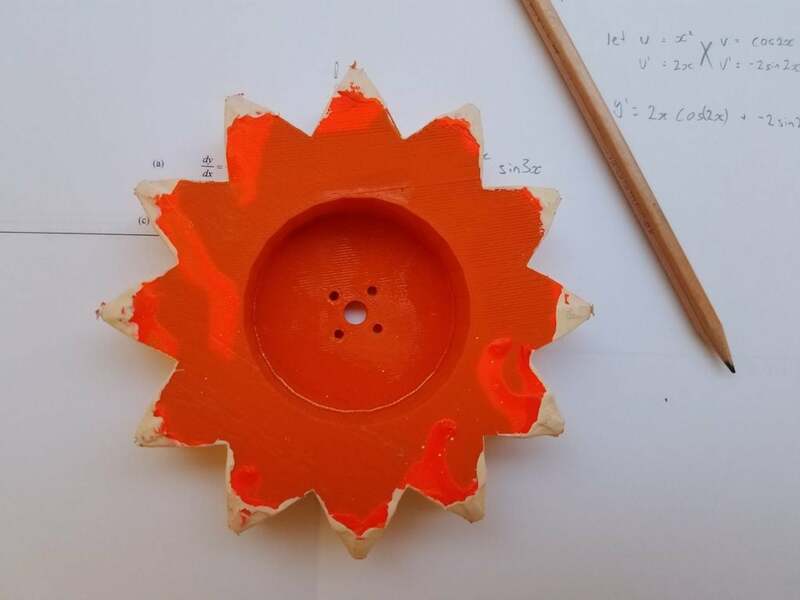 Cambridge is doing something similar with silicone, and they are concerned about the weight of the wheels once they have been covered (see http://curobotics.soc.srcf.net/2018/03/21/easter-break-week-1-progress/). Do you think your solution will increase the weight, and if so will it be a problem?